Polyacrylonitrile (PAN) fiber has the advantages of weather resistance, solar resistance and chemical resistance, but it is difficult to degrade. 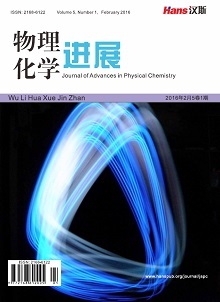 Therefore, the biodegradable polymer material polylactic acid (PLA) is introduced to improve the degradability of the PAN fiber by conjugated electrospinning technology. The PLA/PAN nanocomposite fiber membrane is prepared. L9(34 or-thogonal experiment is used to investigate the effects of PLA solution concentration, spinning voltage, spinning rate and inner diameter of the needle on the morphology and diameter of the fi-ber. It was found that: when the PLA spinning concentration was 10%; the spinning rate was 0.06 mm/min; the voltage was 8 kV; the inner diameter of the needle was 0.51 mm; and the PLA/PAN spinning speed ratio was 0.86:1; the prepared composite fiber membrane had the finest diameter and the best performance. In addition, the composite fiber membrane was tested for its structure, thermal stability and hydrophilicity. 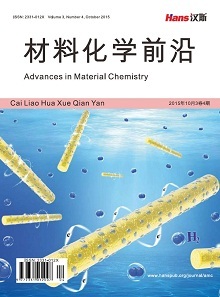 It was found that the PLA/PAN nanocomposite fiber mem-brane has a lower thermal decomposition temperature and hydrophilicity. Daniele Michael, A., Boyd Darryl, A. and Adams Andre, A. (2015) Microfluidic Strategies for Design and Assembly of Microfibers and Nanofibers with Tissue Engineering and Regenerative Medicine Applications. Advanced Healthcare Materials, 4, 11-28. 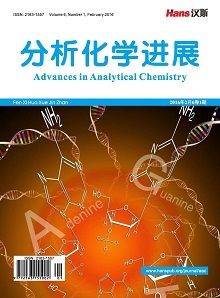 Zhang, R., Liu, C., Hsu, P.C., et al. (2016) Nanofiber Air Filters with High-Temperature Stability for Efficient PM2.5 Removal from the Pollution Sources. Nano Letters, 16, 3642-3649. Ndayambaje, G., Laatikainen, K., Laatikainen, M., et al. (2016) Adsorption of Nickel(II) on Polyacrylonitrile Nanofiber Modified with 2-( 2'-Pyridyl) Imidazole. 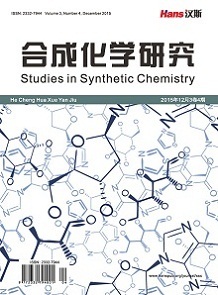 Chemical Engineering Journal, 284, 1106-1116. Chen, M., Wang, C., Fang, W., et al. (2013) Electrospinning of Ca-lixarene-Functionalized Polyacrylonitrile Nanofiber Membranes and Application as an Adsorbent and Catalyst Support. Langmuir: The ACS Journal of Surfaces and Colloids, 29, 11858-11867. Zhang, J.Q., Pan, X.L. and Xue, Q.Z. (2017) Antifouling Hydrolyzed Polyacrylonitrile/Graphene Oxide Membrane with Spindle-Knotted Structure for Highly Effective Separation of Oil-Water Emulsion. Journal of Membrane Science, 532, 38-46. Strain, I.N., Wu, Q. and Pourrahimi, A.M. (2015) Electrospinning of Recy-cled PET to Generate Tough Mesomorphic Fibre Membranes for Smoke Filtration. Journal of Materials Chemistry A, 3, 1632-1640. 曲丽君, 鲍萍. 21世纪的绿色环保纤维——聚乳酸(PLA)纤维[J]. 纺织科学研究, 2002(2): 11-15. 梁宁宁, 熊祖江, 王锐, 等. 聚左旋乳酸/聚丁二酸丁二醇酯共混物的结构与性能[J]. 高分子材料科学与工程, 2016, 32(3): 48-53. 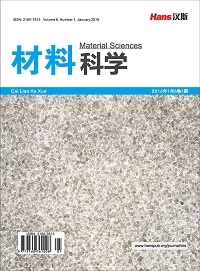 Liu, Y.L., Shao, J., Sun, J.R., et al. (2014) Improved Mechanical and Thermal Properties of PLLA by Solvent Blending with PDLA-b-PEG-b-PDLA. Polymer Degradation and Stability, 101, 10-17.